Shamisha Holiday & Travels is a young and emerging bus company which was founded in 2010. The company is based in Kulim, Kedah. The company operates a fleet of express, charter, tour and excursion buses. 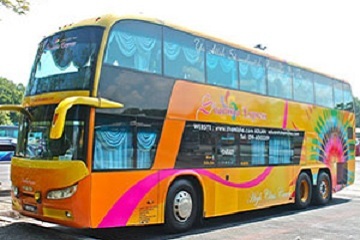 Shamisha Holiday & Travels provides wide bus network coverage across Malaysia. They offer bus services from Kota Bharu and Kuala Terengganu in the East Coast to Johor Bahru in the south. The company offers both single and double deck buses. Their single deck buses are equipped with 27 or 30 seats, whereas their double deck buses have 45 or 48 seats. The buses of the company are installed with luxury chairs and television. Passengers can have a snooze on the comfortable luxury chair to re-energize themselves. While passengers who choose to stay awake throughout the bus trip, in-bus television can ease their boredom. 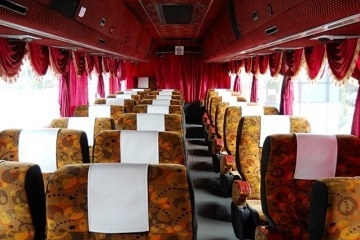 Shamisha Holiday & Travels often commended by passengers for its punctual departure timing and wide range of travelling routes to many parts of Malaysia and regular bus departure intervals. This helps the locales and travelers to commute to their work or anywhere on time. Book Shamisha Holiday & Travels now to enjoy the unparallel quality, professional and trustworthy service that provided to their passengers.